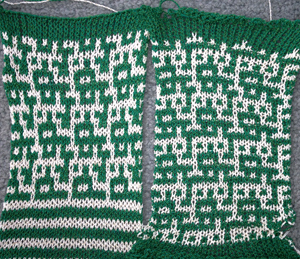 Knitting any fabric on the machine becomes easier if one thinks of black squares as knit stitches (selected needles on Brother), white squares as in this instance as either slipped, or at times tucked stitches (non selected needles). 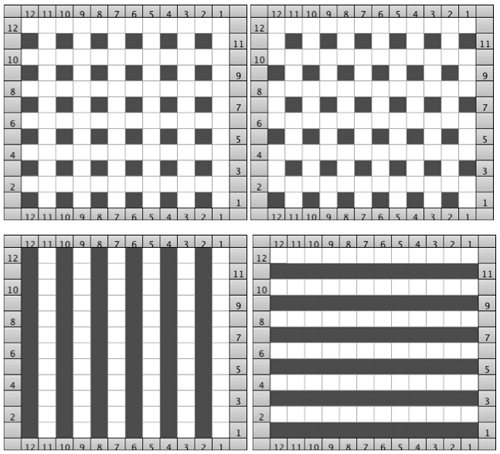 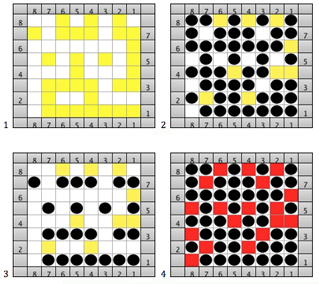 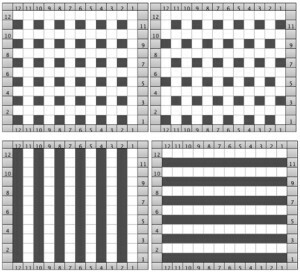 Each number on the grids below represents 2 consecutive rows of knitting. 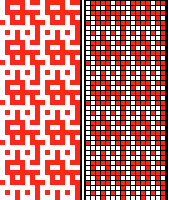 The design may be elongated in the drawing of the final repeat itself prior to punching holes, marking mylar or pixels, or elongated in the built in setting for the KM used, whether electronic or punchcard. 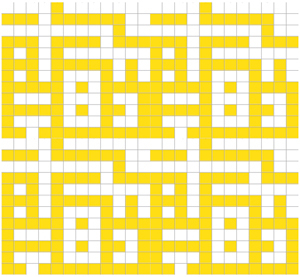 Color changes are required every 2 rows. 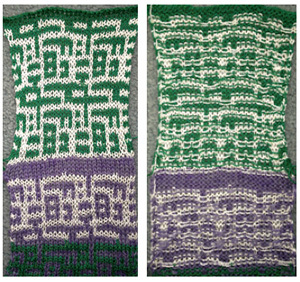 Test swatches for the resulting fabric, knit and purl side shown respectively; note the lack of visibility of pattern where there is low contrast between the 2 colors used, and the short floats on the reverse. 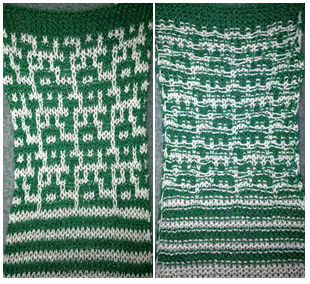 Slip setting is used, though in row 11 the 2 side by side non knitting squares may not pose a problem in knitting using tuck setting. 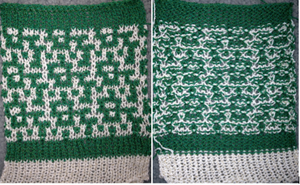 If the yarn used is capable of being blocked fairly flat, because of the short floats, finished items in these fabrics may not need to be folded over or lined as traditional FI items often do.